ePublishing Knowledge BaseePublishing Knowledge BaseePublishing Knowledge Base EditorialHow do I create whitepapers or other downloads requiring reader information or registration? Sometimes you’ll want your article to point to files that require user registration. Capturing reader data is valuable. On your site, a simple taxonomy selection is all that is needed when setting up the page. Access to files can be controlled by selecting the Classification taxonomy as “Require Registration” within the Media Manager when you first upload the file. If the file should only be available to current subscribers, use the Classification “Require Subscription” within the Media Manager file. Create the article or upload the downloadable file that you want to require registration for. Upload the file to the Media Manager. Learn how to upload new media to the Media Manager here: How do I upload new media, such as photos, videos and files? When the reader clicks on your file or article link, he will be asked to log-in to download the requested file. If the reader has not previously registered, he will be asked to do so. 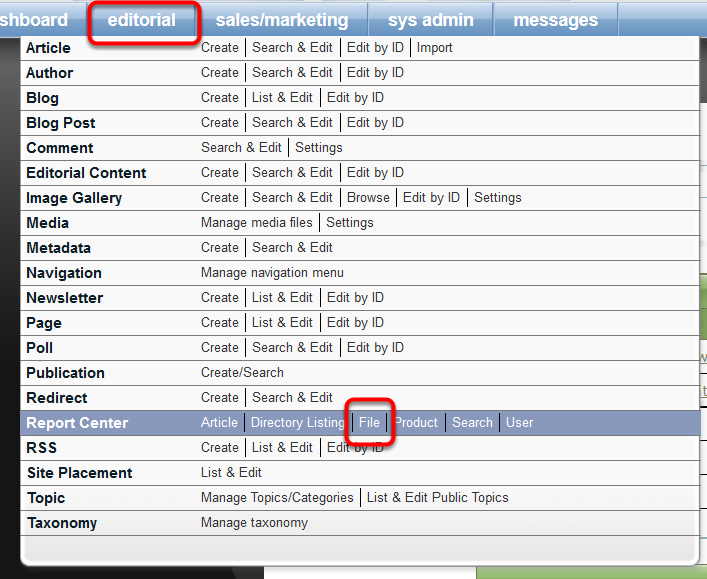 Find the Require Registration taxonomy under Classification within the downloadable file in the Media Manager. 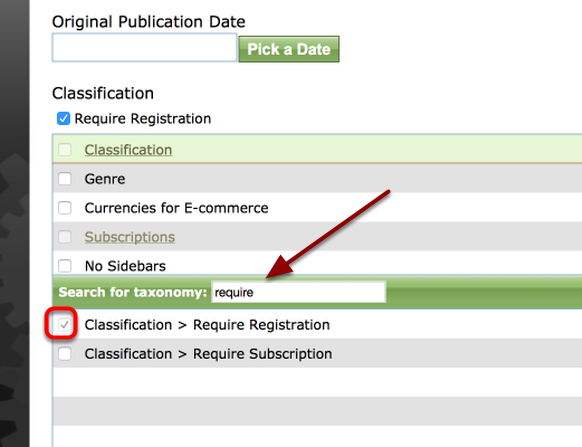 Zoom: Find the Require Registration taxonomy under Classification within the downloadable file in the Media Manager. Access reports that document who accessed that file in your Report Center. Display an overview of downloads of either All media types, or specific file types (whitepapers fall under "General files") by selecting the dropdown menu and dates, and clicking Display Report. Zoom: Display an overview of downloads of either All media types, or specific file types (whitepapers fall under &quot;General files&quot;) by selecting the dropdown menu and dates, and clicking Display Report. 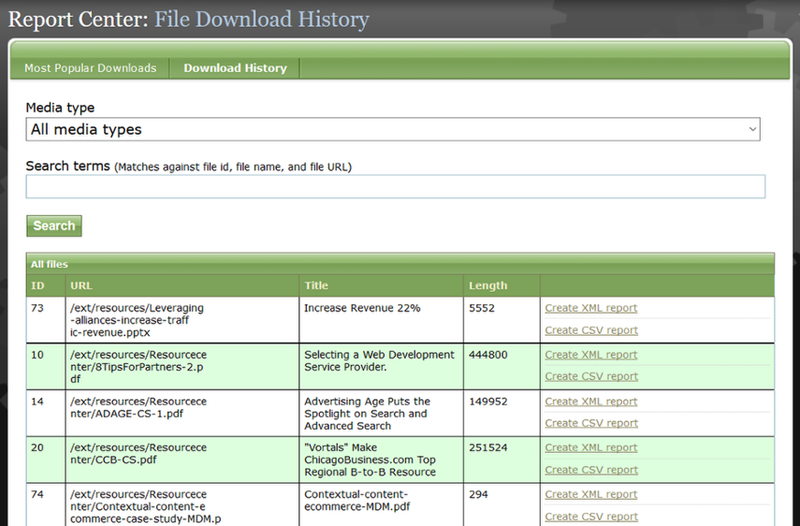 To download an Excel file of readers who accessed the file, click Download History. Filter by Media type or input your Search terms at the top and click Search. Or scan the files. Zoom: Filter by Media type or input your Search terms at the top and click Search. Or scan the files. Click Create XML Report or Create CSV Report to download a report to your computer with readers who accessed the file. 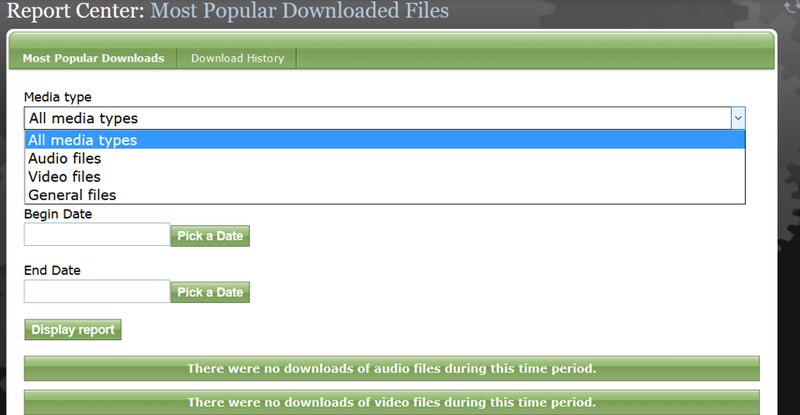 To get all history for a file, simply click Download Report. To view a set date range, click Pick a Date next to Begin Date and End Date, and then click Download Report. Zoom: Click Create XML Report or Create CSV Report to download a report to your computer with readers who accessed the file. If the Media Manager file is locked to Require Registration, then any attempts to download that file will check to see if the user is currently logged in. If so, they are granted access. We record their access to download the file or view the video and you have their user information to provide to the sponsor. If they are not logged in, they are taken to the log in screen and either log in, or create a new registration to gain access to the file. Once they successfully log in or create the new registration, they will be able to download the file or view the video. If so, they are granted access. We record their access to the article and you have their user information to provide to the sponsor. Prev: How do I print the article from my website in either preview mode or after it is published? Next: How do I spellcheck my articles when entering them in the Article Manager?